The Sound Of Revolution is a little over a month away. 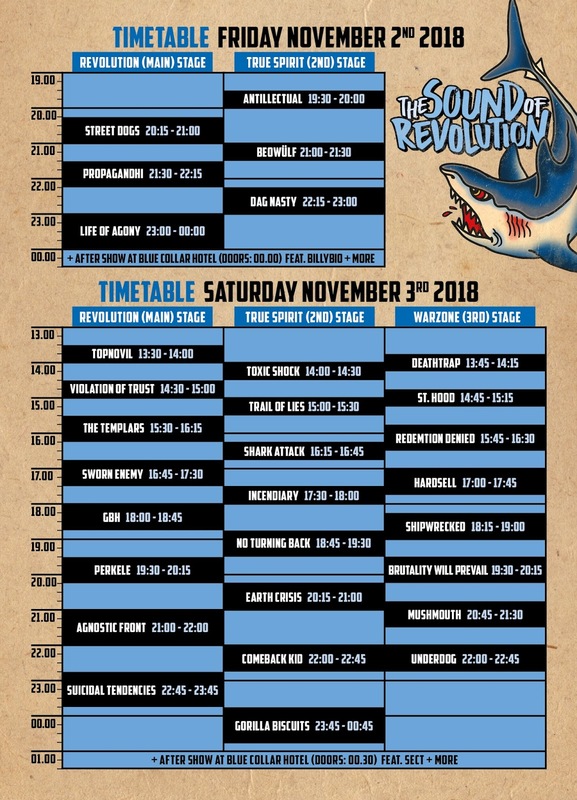 Today, it was announced that, due to logistic problems, Regulate will not make it to the show so Redemption Denied will perform in their place. Furthermore, the timetable for the festival, this year inaugurating a two-day edition, is now available and you may find it below.